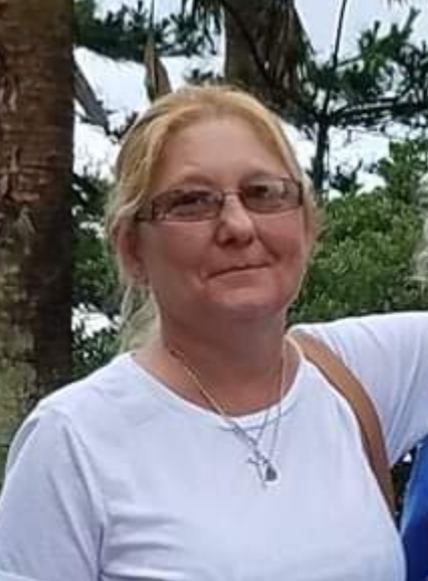 Giovanne Darlene Walker, 55 of Flatwoods, KY passed away on Monday, April 08, 2019 at Community Hospice Care Center in Ashland. She was born March 14, 1964 in Lorain, OH to Nelson Eugene Davis, Sr. and Carroll Ann Stout Davis. She loved animals, gardening, and spending time with her family. Giovanne is survived by her mother; children Karen Spencer, Cecil Brandon Spencer, Robert (Heather) Spencer, Brittany Clevenger, Jeffrey Clevenger, Jr., and Bud Ray (Jennifer) Clevenger; several grandchildren; sisters Karan (David) Vladiff, Debra Davis, Elsie (Earl) Hall, and Virginia Davis, all of Diana; brothers William (Pam) Davis, Mark Davis, Michael (Trisha) Davis, and Nelson (Robin) Davis, all of Diana, and David Davis of Canton, OH; and several other extended family and friends left to mourn her passing. She was preceded in death by her father, husband Gregory Walker, and sister Carolyn Jean Fisher. Friends may join the family for visitation on Saturday, April 13, 2019 from 10:00 to 11:00 AM at Dodd & Reed Funeral Home. Funeral Services to celebrate Giovanne’s life will be held at 11:00 AM with Pastor Lonnie Casto officiating. Interment will follow in Fairview Cemetery, Webster Springs. Dodd & Reed Funeral Home is honored to be serving the Walker family.